A range of mixed fleece, undyed worsted wool all ready for experimenting with using your own dyeing techniques. This collection is available as 50g balls or hanks and are offered at a 5% discount. 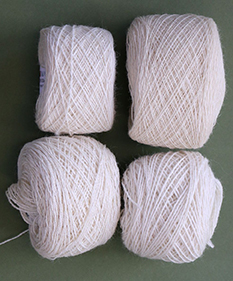 We provide a full technical specification of our yarns.